ART IN THE COUNTY (AITC) is an annual juried exhibition and sale presented by the Prince Edward County Arts Council and Welch LLP. 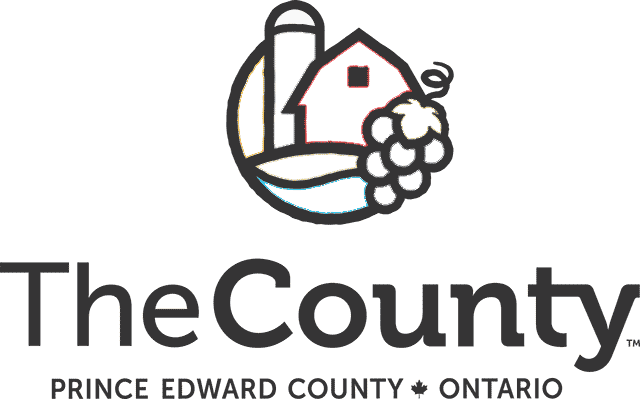 Art in the County is recognized as the premier art exhibition in Eastern Ontario. Since its inception in 1993, AITC has hosted over 52,000 visitors, showcased close to 2,100 of the highest quality works of art by Prince Edward County artists and artisans, and has sold over $300,000 worth of art to collectors, buyers and art lovers alike. This signature event of the summer season also generates additional economic benefits for County businesses. Art works in a wide range of media are showcased, including watercolour, acrylic, oil and encaustic paintings, sculpture, fibre, wood, photography, ceramics, glass and more. 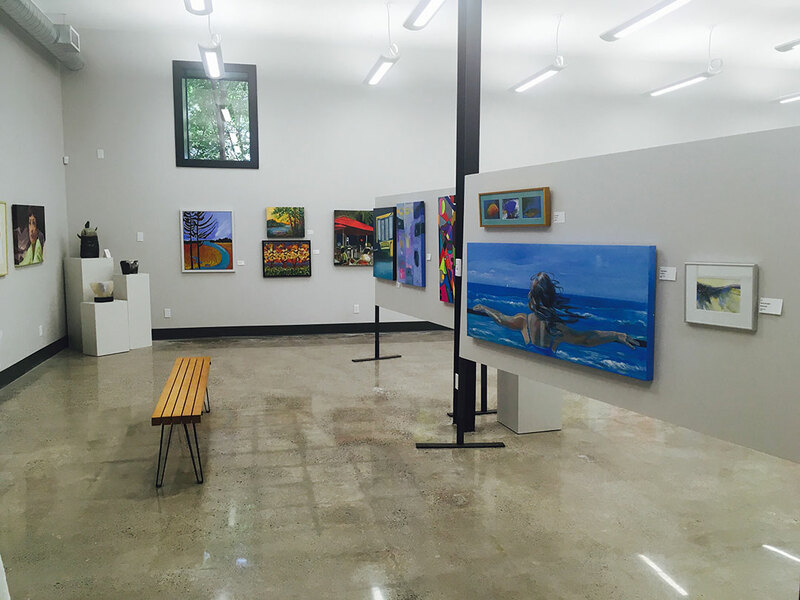 The 26th Annual ART IN THE COUNTY Juried Exhibition and Sale will take place from Friday, June 21 to Sunday, July 7, 2019 at The Mess Hall in the Armoury 206 Main St., in Picton, Ontario from 10 am to 6 pm daily (until 5 pm on Sundays, and until 2 pm on July 7). Admission is $3, free for children under 12 years. All works are for sale, and AITC accepts Visa and Mastercard for all art purchases. Admission is FREE on Canada Day sponsored by The Elizabeth Crombie Real Estate Team – Royal LePage ProAlliance Realty Brokerage. In 2019, AITC is pleased to welcome the return of WELCH LLP as Presenting Sponsor. 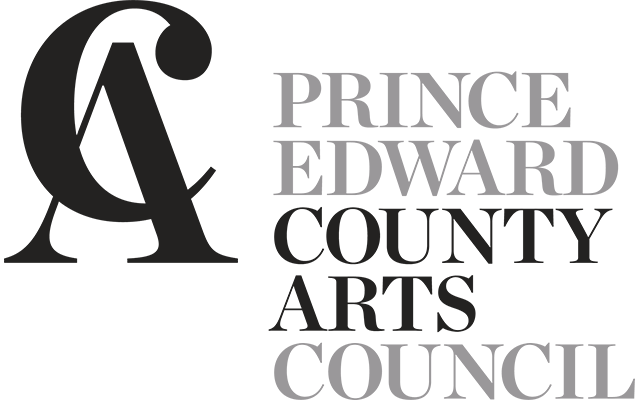 For over 15 years, Welch LLP (previously through Murray & Associates) has supported the Art in the County juried exhibition and sale. We are grateful for their continued support that helps make this show possible. Five Jurors’ Awards and five Honourable Mention Awards are selected by the Jurors. The People’s Choice Award is determined by visitor ballots and will be presented at the close of the exhibition. The Community Arts Builder Award, sponsored by Sam Simone, Monica Klingenberg and Laurie Gruer of Chestnut Park Realty, is back for a second year. It recognizes individuals who have enriched community life through the arts. New for 2019, the Maison Depoivre Award will be presented by Maison Depoivre to an artist whose work demonstrates risk-taking and originality, technical skill and is thought provoking. 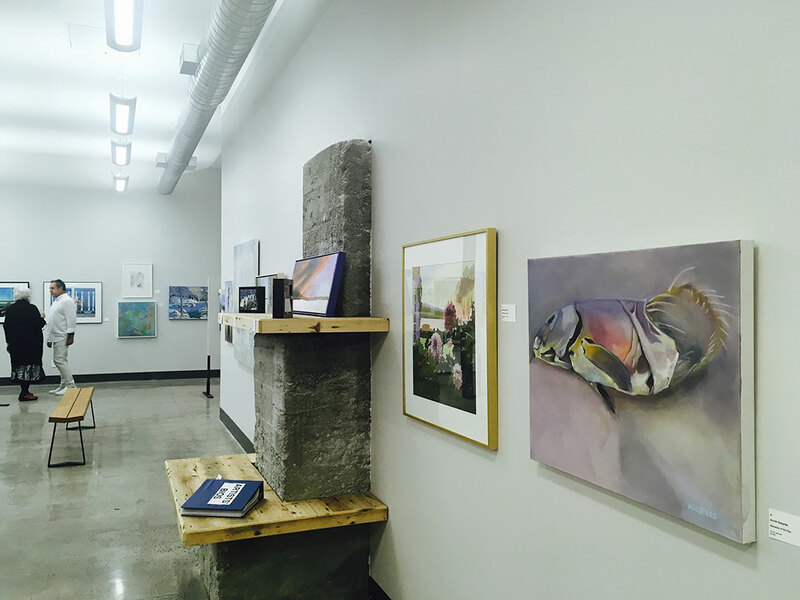 The recipient of the award will be invited to display her/his work at Maison Depoivre for the rest of the 2019 season once Art in the County closes its doors at the beginning of July. The curators of Maison Depoivre will select 3 finalists from the artists presenting work at Art in the County. The three AITC jurors will determine the award recipient from the 3 finalists. Three Canadian art professionals are solely responsible for determining the exhibition’s content, and selecting the five Jurors’ Choice and five Honourable Mention award winners. We are pleased to welcome three exceptional jurors whose experience and insight will be instrumental in providing a high quality experience for both artist and visitor. In 1993, with advice from the long established Quinte Arts Council and seed money from the Community Development Corporation, the inaugural AITC Volunteer Committee (Paul Adams, June Boddington, Bob Hintz and Estelle Klein) set about planning the first show. It was held in the lovely heritage space above the Picton Old Town Hall and for the next 18 years the space was converted annually into a fine art gallery displaying the best work of County artists. In 2012, the exhibition moved to a new home, a much larger gallery space above Books and Company on Picton’s Main Street where it stayed until 2017. In 2018, the exhibition moved to The Armoury, centrally located on Main Street beside the Picton Public Library.. In the show’s early years, only two-dimensional pieces (mainly paintings in oil and watercolour) were eligible for entry. Since then, the event has expanded to include art from an impressive range of media, including paintings in encaustic, oil, watercolour and acrylic; and works in glass, fibre, ceramics, pottery, mixed media, photography, wood, fabric art, sculpture and jewellery. Since its inception in 1993, Art in the County has grown in scope and stature, showcasing the highest quality works of art by Prince Edward County artists and artisans. Today, ART IN THE COUNTY is a signature event of the summer season in Prince Edward County. The show attracts thousands of visitors; generates meaningful opportunities for County artists, and provides economic benefits for businesses across the County.